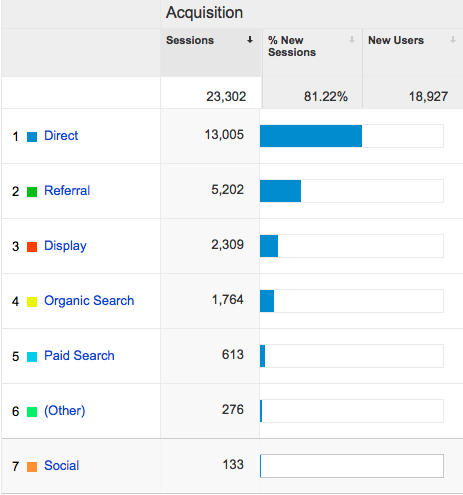 You might have heard the term Dark Social before, read something about it and even how to estimate how much this traffic represents for your website (Google URL builder, anyone?). But we have a solution to track Dark Social that requires less effort and is much more effective than that. 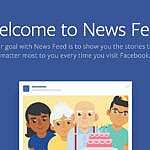 Wondering how to track Facebook shares, copy paste share and other private networks shares? Read my step by step guide below. 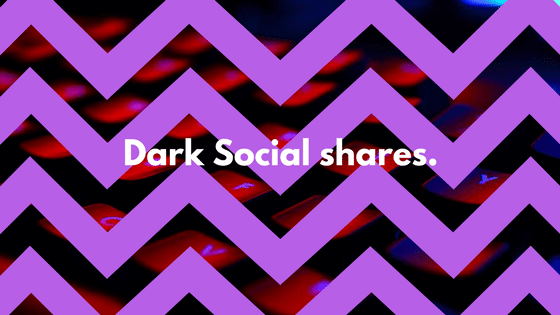 Dark social is a term coined by Alexis C. Madrigal and refers to all of the sharing activity that occurs through the copying and pasting of URLs, which largely goes undetected by most Web Analytics programs, such as Google Analytics, Omniture, or any other application. 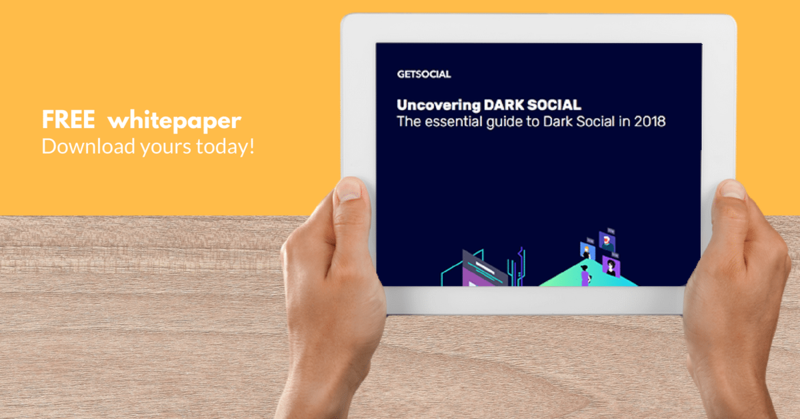 If you want to learn more about dark social, feel free to read all about it on our whitepaper. Don’t worry, we’ll wait for you! How to track Dark Social? As you already know, it all starts with creating your GetSocial account. Just start a trial for the Standard plan and register your website. If you are using WordPress, install our plugin instead. Now, you will see an alert reminding you to install our code on your website. It’s quite easy: you just have to install the code before the </head> tag in your website’s template. It’s the exact same way as installing Google Analytics. If you are having trouble, check our tutorial pages tutorial pages or send an email to support@getsocial.io and we will help you. This feature will add a small tracking code to the link of every page where you activated our tools. 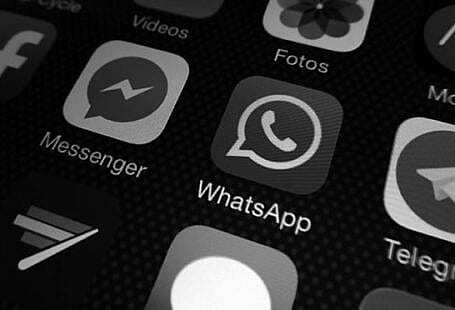 This very post has a small string in the address bar (#gs.xxxxxxx) which allow us to know when someone shares it through SMS, WhatsApp, Facebook Messenger, Email… you name it. Note: This has zero influence on your SEO, so you don’t need to worry. Another great tool we have that greatly synergizes with Copy & Paste Share Tracking is the “Google Analytics Integration” feature (also available to all our paid plans). This allows you to really understand how the traffic coming from your social shares behaves and compare Cost per Action (or cost per conversion) of all your social promotion campaigns. You can finally compare apples to apples (or CPAs to CPAs) when measuring the success of your content, social media, and advertising campaigns. 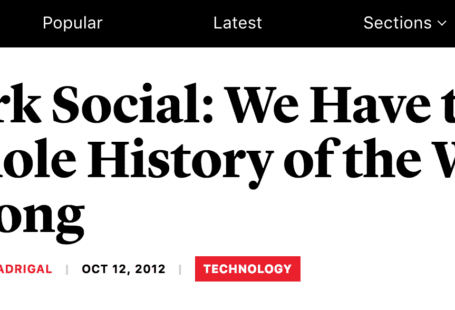 But why should I track Dark Social Shares on my website? 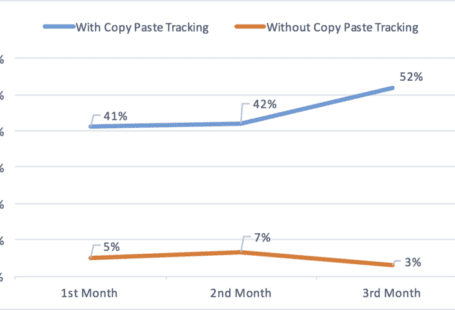 As mentioned before, Dark Social shares (or copy-paste shares) are more usual than you may think. Just think of the last time you shared something from Youtube: you probably didn’t click the share button, you copied & pasted the URL address. Or the last time you sent that cute begging cat to a friend. You certainly did not share that on your profile, you used Facebook Messenger instead. Well, these types of shares don’t have referral headers or similar identification, which means they’ll be interpreted as direct traffic. And for digital marketers and social media professionals, it’s awful to have poor data to base your decisions in. Personally, I don’t believe that about 6,500 users wrote 60–150 character long URLs in their address bars and pressed enter, nor I believe that most of the hits to the home page were, in fact, direct. But let me give you some more examples. The cool thing about working with so many websites is to be able to explain to them what this data means and why it’s important for their businesses and strategy. Ready to learn how to track Facebook shares and have a 360º view of your social sharing activity? Create a GetSocial account now. This post was edited on 11 October 2018.